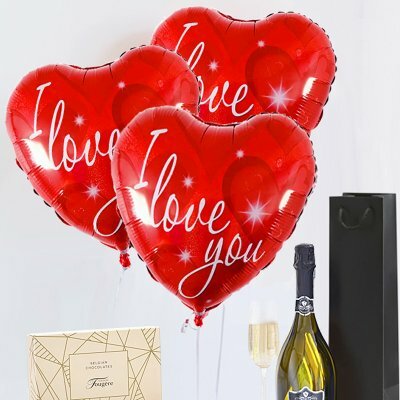 This comes straight from the heart, so show just how much you care with this fun gift, so Imagine their surprise and delight when they see three Fun bright red heart Helium I Love You balloons with a delicious bottle of Bubbly Prossecco and a box of luxury Chocolates to add to that extra special feeling. 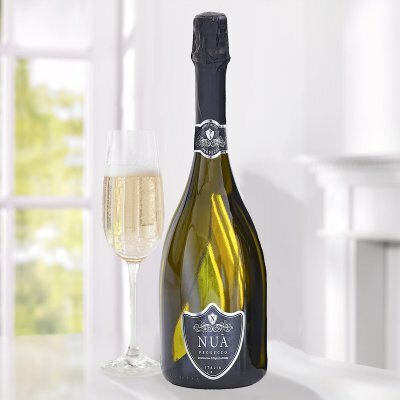 This extra dry Nua Prosecco is light and fresh with aromas of melon and apples and is well-balanced with fresh acidity as well as a lively mousse, it's a great way to add that sparkle to help celebrate the occasion. 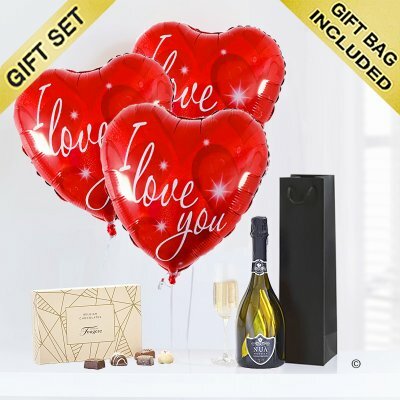 (Also it can be mixed with peach juice for the perfect Bellini).